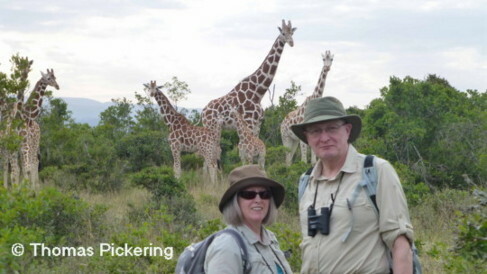 Read reviews from clients who traveled with Ontdek Kenya Safaris. Firstly we must thank you for the excellent safari we have just finished, booked through HF Holidays. It was probably the best holiday we have ever had, and we have had a few. We have been fortunate to travel widely, in Europe, Cuba, USA, Morroco, Singapore, Hong Kong and Australia. The trip with you was the best tour we have ever had. Also, as there is so much of the world to see, we never plan a return trip. 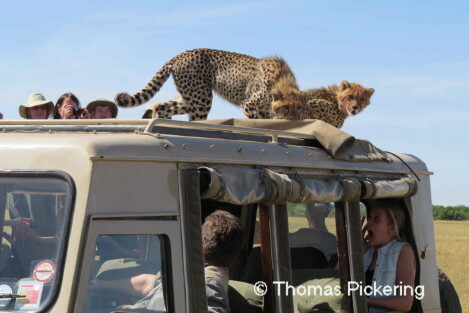 This time we are already planning how to return to Kenya, and willl undoubtedly use Ontdek Kenya Safaris for the trip. We were very struck with Kenya and its people, and would be happy to encourage others to visit. I have already passed your details to several interested colleagues, and will continue to do so. The itinerary was perfect and we would not change a thing, with an immense variety of scenery, culture and wildlife. We did meet one very unhappy tourist who had booked a cheap safari on arrival in Nairobi, and was very unimpressed with a day at leisure in a hotel, whilst we were out walking! Elijah (our guide-driver) was invaluable, both as a very careful driver, resolver of problems, and above all as a naturalist and bird spotter. He quickly assessed our character and interests, and adjusted the days appropriately. Both he, and Robert (who was with us in the area of Lake Naivasha) with whom we were very impressed, spoke highly of your help and support to them, which was very pleasing. Robert also talked to us about conservation, and the poaching issues. If there is any way we can support this work from the UK, by donations to UK registered charities or letters to UK officials we would be pleased to help. We will also be writing to HF with very positive feedback, and an offer to talk to any prospective HF travellers to persuade them to sign up for a trip. We are already thinking of a return trip, and will be in touch when we are ready to book. Thanks again, and let us know if we can do anything on the poaching campaign. Read reviews from other Ontdek Kenya clients.